If you happen to be one of the few that hasn't yet heard about essential oils, just wait. One day soon your Facebook inbox will blow up with invitations to this or that essential oils home party. If you choose to attend one of these parties, you might learn some useful tips for making nice-smelling homemade cleaning products or cosmetics with essential oils, but you might also be exposed to some very unbiblical concepts about sin, sanctification and illness. Before I go any further, let me first state clearly that we are not concerned with the use of essential oils in foods, cosmetics and cleansers, because those uses do not generally have spiritual implications. * We also view essential oils to be, in and of themselves, spiritually neutral. By that, we mean that we believe Christians can use them with a clear conscience and a right understanding of man, nature, God, physical vs. spiritual healing, etc. BUT, we do also want to warn that some EO companies and distributors (Young Living, in particular, which was founded by a professing Christian named Gary Young) use, sell, promote, and teach about EOs using New Age/New Thought concepts and spirituality, specifically in the areas of sin, sanctification and illness, and concepts that are clearly counter to what the Bible teaches on these things. The area of alternative treatments, in general, is a tricky one to navigate, as we don't have any desire to throw out all alternative treatments as being bad or unbiblical. What we do want to do is give clear warnings about the dangers that we do see about how some alternative products are marketed, since many of our readers will probably come into contact with some of this thinking, given that alternative treatments, on the whole, have become mainstreamed not only in the culture at large, but also, within the Christian community (and particularly the Christian homeschooling community). (4) We are concerned when Christians choose to partner with, promote and sell products in tandem with companies that are undergirded with New Age/New Thought beliefs (i.e., being "unequally yoked"). * Although our primary concerns, as noted, are spiritual in nature and not physical, at the same time I suspect that runaway allergies and sensitives among heavy essential oil users will start showing up over the next decade, and this is why: just because the oils are "natural," and come from oranges, lavender, roses, etc. (and not out of a lab) doesn't mean that they are in their natural state as God made them. Essential oils are highly concentrated. I used lots of essential oils while in the New Age, for almost a decade, and guess what? I am sensitive and/or allergic to most of them now, at least the ones I used on a regular basis. Also, today's EO users use the oils far more than I ever did as a New Ager: diffusers running all day, homemade counter spray, homemade laundry detergent, homemade dishwashing soap, homemade cosmetics, and more, all scented with EOs. Allergies develop through repeated exposure to something. Well, that's a lot of exposure right there. MY NOTE: this is not the biblical view of disease, which is that disease is a result of the Fall. Young's view is more in keeping with Taoism. MY NOTE: We're not taught anywhere in scripture to attempt to manipulate energy centers ["energy centers" AKA "chakras".....an occult Hindu concept] in the body [whether that's through yoga, meditation, acupuncture, application of essential oils, etc., etc.] in order to have dreams or visions about the future for our lives. In fact, this goes directly against what God says in Deut 29:29 "The hidden things belong to the Lord." All that God wants us to know, He reveals plainly to us.......chasing after hidden knowledge is akin to witchcraft, and God detests it. For a more in-depth analysis of the unbiblical concepts used in the marketing of Young Living essential oils, please see Chuck and Julie Cohen's excellent article, Aromatherapy: Biblical Path to Healing or Demonic Deception? The way in which the above oil blend is marketed with unbiblical concepts is only one of many examples from the Young Living website. To see this for yourself, please visit the Young Living website - Young Living Essential Oil Singles can be viewed here, Young Living Essential Oil Blends can be viewed here. Below are a few more screenshots of products with product descriptions. "According to a 2002 Harris Poll, more than half of us believe that a government agency like the Food and Drug Administration is keeping a watchful eye on the $20 billion supplement industry......It's not. 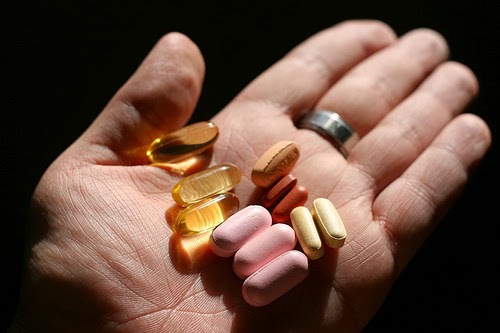 The federal regulators who would normally be all over poor-quality supplements had their hands tied by a piece of legislation signed into law by President Clinton in 1994 called the Dietary Supplement Health and Education Act (DSHEA). The bill was intended to make dietary supplements -- including vitamins, minerals, and herbs -- more widely available by classifying them not as drugs, like aspirin or ibuprofen, but as foods. In practice, that means supplements not only don't have to do what they promise (such as protect against disease) but don't even have to be safe.........The results have been predictable: In 2004 alone, more than 24,000 "toxic exposures" to supplements were reported, while other research showed that some supplements contain potentially dangerous contaminants such as lead, mercury, pesticides, mold, and bacteria.........No wonder some consumer advocates say that this regulatory loophole has helped create a marketplace that fails to protect consumers from contaminated, adulterated and, in some cases, deadly supplements." A recent program (Safety and Regulation of Dietary Supplements) on the secular radio station NPR (National Public Radio) also highlighted the growing concern among even the lost that the alternative treatment industry (which includes essential oils) is a largely unregulated arena. I highly recommend for anyone wanting to use, or already using, natural supplements to listen to this program. It was mentioned during the show that testing done by a group called Consumer Labs found that, on many occasions, what was on the outside label of bottles of natural/herbal supplements did NOT accurately portray what was contained within. The reason for this is because there are very few regulatory practices put into place for ensuring quality/accuracy in alternative/"natural"/herbal supplements. What this means is that a person can buy a bottle of an herbal supplement, and be getting something other than what is labeled on the front of the bottle. It could be 100% of the herb, could be 90/10 - herb/filler, or 10/90 - herb/filler, or could be all filler. Same thing with essential oils: a bottle labeled "100% Essential Oil" could be 100% of the oil you are expecting, OR, it could be comprised of 90% carrier oil (like linseed oil, almond oil or olive oil) with only 10% of the essential oil. Again.......it's an unregulated industry. Just like there are sinful men involved in the FDA, sinful men who act selfishly and make wrong decisions, there are also sinful men involved in the alternative treatment industry. But the sinful men involved in the alternative treatment industry are entirely unregulated, meaning they do not have to meet any scientific or federal standards for the claims they make about their supplements. Both sides are flawed, but at least the FDA has some measure of accountability due to regulatory requirements. Those selling oils and herbs and other supplements shouldn't automatically get a pass because they are selling "natural" items. Herbs and oils are not somehow more holy than pharmaceuticals (and even though I get that there are problems with the pharmaceutical industry, including over-diagnosis of many medications, that's another topic for another day). The Alternative Treatment realm is an industry that makes profits in the billions ($34 billion, to be exact). And yes, that's right up there with Big Pharma. And as far as being "natural," which essential oils are relentlessly touted as being (with the implied meaning that their "natural" designation means they are safer/benign), how natural are they, really? The reality is that the term "natural" is so overused and misused by the Alternative Treatment industry as to no longer have any meaning. This is why essential oils are not natural: if you walk up to an orange tree and pick an orange, and press the skin of the orange with your fingernail, the tiny amount of fragrant, oily residue that you get is essential oil. That's natural. But taking a thousand oranges and using machinery to distill a super concentrated bottle of the oil alone.....that's not natural. Why would a Christian knowingly sell a product that is marketed with New Age/New Thought/panentheistic concepts, and which could introduce a Christian purchaser to spiritual beliefs that are unbiblical? The obvious answer is that, a true, Bible-believing Christian probably wouldn't, IF, that is, they knew the product they were selling was marketed in that way. Obviously, we are not calling into question anyone's salvation here. Our purpose in writing this article is to give warnings to our brothers and sisters about the unbiblical concepts YL oils are marketed with, and a warning for other believers who may be innocent in this area, and do not have an understanding of what New Age/New Thought concepts are, and how they present themselves. The fact is, demonic deceptions (which New Age/New Thought beliefs are) don't announce themselves boldly or waltz in waving a flag, or wearing a label. They are subtle. Hence the warning to our brothers and sisters. In the first section, we demonstrated the unbiblical concepts with which Young Living oils are marketed. One of our most pressing concerns about essential oils in general, and Young Living essential oils in particular, is when Christians choose to join with, promote and sell products in partnership with companies that are undergirded with New Age/New Thought beliefs (i.e., being "unequally yoked"). We would therefore strongly urge all Christians to think long and hard before yoking with a company that markets its products with promises of spiritual benefit that should only be ascribed to our Lord. I am not going to Young Living for my theology, only for essential oils. I don't go to them for theology. How is this not a Romans 14 issue? Or a meat sacrificed to idols issue? Also, I spend money at Target, Amazon, Starbucks, and all these companies support evil and give their money to things like Planned Parenthood and Gay Pride rallies. But my disagreement with the spiritual views of the CEOs of Target, Amazon and Starbucks doesn't stop me from purchasing from them, so why does it matter what the spiritual views of the owner of Young Living are? Our response to this counter-argument is this: Young Living markets its oils with spiritual concepts (theology), that's the problem. So you're getting theology from them, whether you want it from them or not. Buying gardening tools or books or coffee from secular, gay-affirming corporations like Target, Amazon and Starbucks is not at all the same as buying essential oils from Young Living, or even beyond that, partnering with them to sell products that promise specific spiritual benefits that come only from God. Gardening tools and books and coffee are neutral products, as oils are, and if it stopped there, we could all pack up and go home. But it doesn't stop there. The EOs at Young Living are marketed as providing spiritual benefits, spiritual benefits that should come ONLY from God, and those who partner with Young Living to sell the EOs are responsible for bringing these unbiblical spiritual views to their clients. 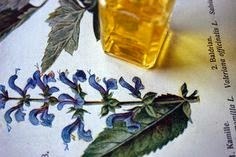 We have made a number of posts about essential oils (and alternative treatments, in general) to our Sola Sisters Facebook page, and it has not escaped our notice that these threads have been among the friskiest of the posts we've made to date, in terms of Christians taking exception to some of our statements. Please understand that our intent in writing about this topic is not to incite our brothers or sisters, nor is it to cause division, nor is it to cause others to stumble. Our reasons for contending so earnestly on the topic of essential oils for the last few months now is that this kind of deception, I am convinced, is spiritual at the core. We need to remember that "Satan is a hungry lion, prowling the earth seeking whom he may devour," (1 Peter 5:8) and that his desire is to "steal, kill and destroy," (John 10:10). I don't think Satan is particularly finicky about the deceptions he chooses: if they work to deceive people and shorten their lives, well then, he's all for them and will continue to use them. Remember, Satan hates all human beings because we are made in the image of God.....that's why he wants to destroy us. Spiritual deceptions are real, and they're not just the Word of Faith kind that are often more easily discerned. The mind not only can be easily deceived, once it is deceived, that deception can have a very, very strong hold on the deceived person. As noted above, I (Christine) literally spent thousands on bogus natural/alternatives "cures" while in the New Age, including aromatherapy, reiki, homeopathy, eating green/organic/sustainable, etc. I had an entire lifestyle built around eating and living in a certain way. Looking back, of course, I can see why (as a New Ager) I bought into all that I did and lived that way, and I can see how strong the deception was. But now, I am seeing many, many, many Christians getting caught up in the same kind of beliefs and mindset that I had as a New Ager. It's almost surreal to see it happening. I'm not saying we should all just be gluttonous and foolish and not try to make wise decisions about our health and eating and lifestyle, but I am seeing the same sort of "lifestyle righteousness" that gripped me and so many of my New Age friends, and amongst believers, of all people. Believers, for whom this world is not a final resting place, and for whom this world is just a present age passing away. We are commanded in Scripture to "take EVERY thought captive in obedience to Christ," and to "test ALL things" (my emphasis). So I hope that my sisters (and brothers) who enjoy essential oils aren't taking offense at my desire to "test all things".... chiefly, in holding up some of the unbiblical concepts and ideas conveyed through some of these essential oils websites. In summary, we pray that our fellow Christians will be on alert for unbiblical concepts being introduced in the alternative treatment realm, specifically in the area of essential oils. Most alternative treatment products are unregulated, and some can even cause harm when used. We also think that it is important for Christians to do their due diligence and biblically think through all partnerships they enter into, being on alert for unbiblical concepts that they might unwittingly be a partner to transmitting to others. Shannon: Haddad and Winchester's Clinical Management of Poisoning and Drug Overdose, 4th ed.